The aim of DigiProject tools is to simplify the setup, maintenance and collaboration process of the Revit model. 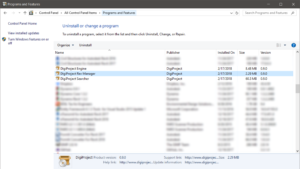 Add-ins – Additional pieces of software installed on top of DigiProject Engine which extends Revit functionalities. 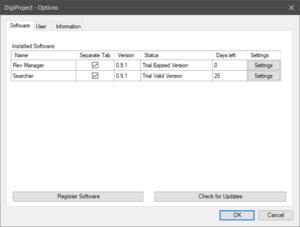 All Revit add-in Installers contain both pieces of the software and installation process has two steps. 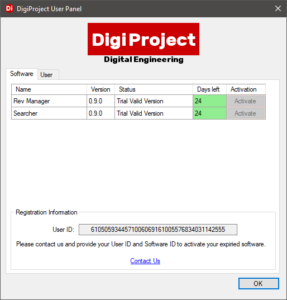 The first step will check if DigiProject Engine is installed and install it in case Engine is not detected. The second step will install specific add-in on your machine. Run the installer and follow instructions. If this is first time you install DigiProject Software then you will be asked to install DigiProject Engine first. Make sure both pieces of software are installed at the end of the process. Software updates are issued to address security issues when they occur, to address minor bugs discovered in the software, to improve the operation of specific Add-in. These small, incremental updates improve the operation of DigiProject software. 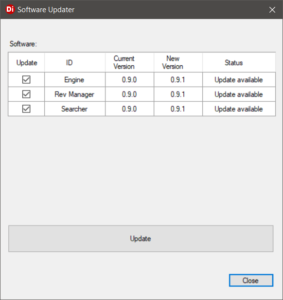 Software Updater can be used to check and download necessary software updates. Revit Loader is automatically installed with DigiProject Engine. Loader was created to manage all additional DigiProject plugins installed by the user and allows you to run settings for all these plugins from one place. It also gives you access to user information, DigiProject User Panel and Software updater from Revit environment.